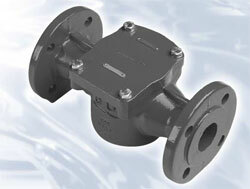 Strainers protect delicate devices such as water meter mechanisms from the effect of waterborne debris. There will inevitably be a build up of filtered-out solids over time so most strainers are provided with access to periodically remove and clean the strainer mesh without disturbing the pipe connections. The use of strainers is particularly strongly recommended with Woltmann meters. We offer the Kent range of strainers for this purpose.